Shampoo "OIL CONTROL" with bamboo extract RICHAIR Egomania buy for 11.2900 in store RussianTable with delivery. For the daily care for oily scalps and hair. Salicylic acid moisturizes and softens the scalp. It removes dead skin cells from the epidermis thereby rejuvenating the scalp. Bamboo extract normalizes the pH balance of the scalp and nourishes the hair follicles, filling the hair with vital force. This shampoo formula does not contain SLS or parabens. Suitable for daily use. 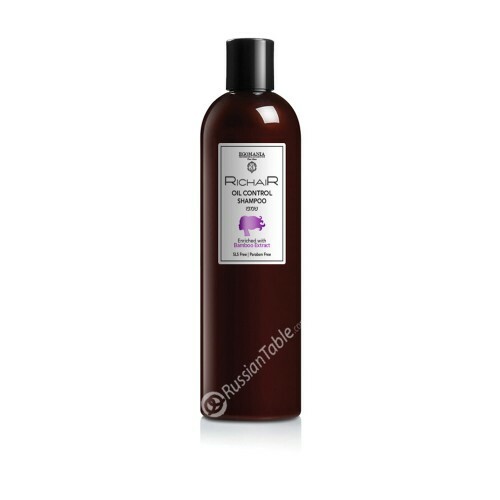 Do you have any questions about Shampoo "OIL CONTROL" with bamboo extract RICHAIR Egomania?